In the course of human evolution, at a certain point in time, the idea of living in a group with mutual understanding and dependency became a very useful and practical lifestyle. From such small isolated groups, communities were formed. Then came the societies which in due time became a civilization. How the human mentality and psychology led to this huge change is still a popular topic among the historians and anthropologist, and a major discussion for another day. For now, let’s talk about some of the oldest civilizations to have ever existed in the world. We are talking about the civilizations that we know, as fact, existed for real, unlike the ones that are shrouded by myths and beliefs (Atlantis, Lemuria, and Rama civilizations to name a few). To correctly map the oldest of the civilizations in a chronological order, it becomes necessary to go the very cradle of civilization. Having said that, here is a list of top 10 oldest civilizations to ever exist in the world, starting with the most recent one first. The Incas was the largest Empire in South America in the Pre-Columbian era. This civilization flourished in the areas of present-day Ecuador, Peru, and Chile and had its administrative, military and political center located at Cusco which lies in modern-day Peru. The Incas had their societies pretty well established, and the empire was in a rapid bloom since it’s beginning. The Incas were devout followers of the Sun God Inti. They had a king who was referred to as “Sapa Inca” meaning the child of the Sun. The first Inca emperor Pachacuti transformed it from a modest village into a great city laid out in the shape of a puma. He went to expand the tradition of ancestor worship. When the king died, his son would get all the power, but all his wealth would be distributed among his other relatives, who would in return preserve his mummy and sustain his political influence. This significantly led to a sudden rise in power of the Incas. 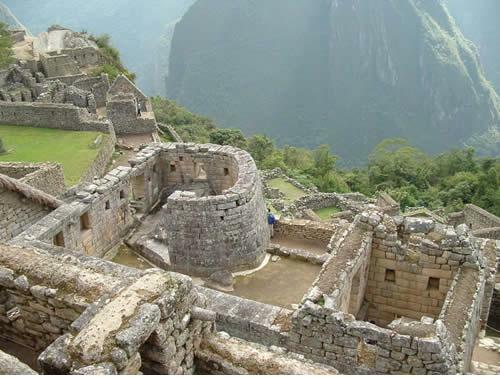 The Incas went on to become great builders and went on to build fortresses and sites like Machu Picchu and the city of Cusco that still stand to this day. The Aztecs came upon the scene pretty much around the time when the Incas were appearing as the powerful contenders in North America. Around the 1200s and early 1300s, the people in present-day Mexico used to live in three big rival cities – Tenochtitlan, Texcoco, and Tlacopan. Around 1325, these rivals created an alliance and thus the new state was brought under the rule of the Valley of Mexico. Back then, the people preferred the name Mexica than to Aztecs. The rise of the Aztecs was within a century of the fall of another influential civilization in Mexico and Central America – the Mayans. The city of Tenochtitlan was the military power, which spearheaded the conquest of new territory. But the Aztec emperor didn’t rule every city, the state directly. Local governments would remain in place but was forced to pay varying amounts of tribute to the Triple Alliance. 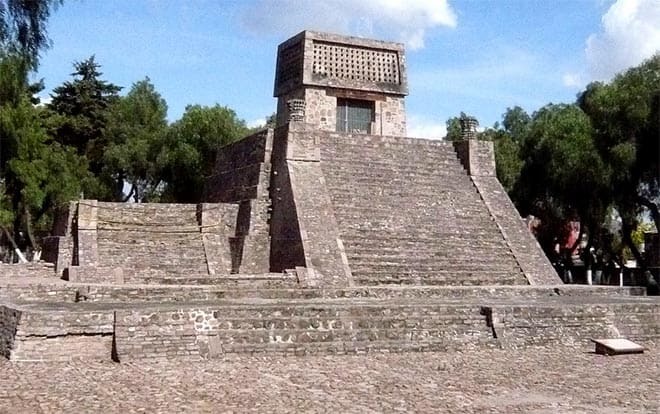 In the early 1500s, the Aztec civilization was indeed at the height of its power. But then, the Spanish arrived with their expansion plans. This eventually led to a huge battle between the Incas and the alliance of Spanish conquistadors and the native allies they had assembled led by the famous (or rather infamous) Hernan Cortes in 1521. A defeat in this decisive battle eventually led to the fall of the once famous Aztec empire. The Roman Civilization came into the picture around the 6th century BC. Even the story behind the foundation of the ancient Rome is something of a legend, it’s full of myths. But at the height of its power, the Romans ruled over the biggest chunk of land in that era – all the present day counties surrounding the modern day Mediterranean sea were a part of ancient Rome. Early Rome was governed by kings, but after only seven of them had ruled, the Romans took power over their own city and ruled themselves. They then instead had a council known as the ‘senate’ which ruled over them. From this point on one speaks of the ‘Roman Republic’. Rome also saw the rise and fall of some of the greatest emperors in human civilization, like Julius Caesar, Trajan, and Augustus. But eventually, the empire of Rome became so vast that it simply was not possible to bring it within a single rule. The Roman empire, in the end, was overrun by millions of barbarians from the north and east of Europe. There was a time when the ancient Persian civilization was, in fact, the most powerful empire in the world. Though only in power for a little over 200 years, the Persians conquered lands that covered over 2 million square miles. 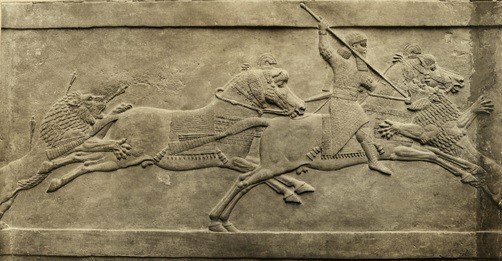 From the southern portions of Egypt to parts of Greece and then east to parts of India, the Persian Empire was known for its military strength and wise rulers. Now before you even start to contemplate the fact that they created such a vast empire just within a period of 200 years, before 550 BC, Persian (or Persis as it was called back then) used to be divided into factions among a number of leaders. But then King Cyrus II, who later on came to be known as Cyrus the great, came into power and unified the entire Persian Kingdom. Then he went on to conquer ancient Babylon. In fact, his conquest was so rapid that by the end of 533 BC, he had already invaded India, far in the east. And even when Cyrus passed away, his bloodline continued the ruthless expansion and even fought in the now legendary battle with the brave Spartans. At its prime, ancient Persia ruled all over central Asia and Egypt. But it all changed when the legendary soldier of Macedon, Alexander the great, brought the whole Persian Empire down to its knees and effectively ended the civilization in 330 BC. The ancient Greeks may not have been the oldest civilization, but they are doubtlessly one of the most influential civilizations to have ever existed in the world. Even though the rise of ancient Greece came from the Cycladic and Minoan civilization (2700 BC – 1500 BC), there is evidence of burials found in the Franchthi Cave in Argolid, Greece that dates back to around 7250 BC. The history of this civilization is scattered over such a huge period of time that historians had to divide it over different periods, the most popular of them being the Archaic, Classical and Hellenistic period. These periods also saw a number of ancient Greeks come into the limelight – many of them changed the ways of the world forever. Many of them are still talking about this to this day. The Greeks created the ancient Olympics, the concept of democracy and a senate. They created the base for modern geometry, biology, physics, and whatnot. Pythagoras, Archimedes, Socrates, Euclid, Plato, Aristotle, Alexander the great… the history books are full of such names whose inventions, theories, beliefs, and heroics have had a significant influence on subsequent civilizations. Ancient China – also known as Han China, comes in at number 5 and has doubtlessly one of the most diverse histories. In fact, if you consider all the dynasties from the very first to the very last that ever ruled in China, you get a significantly huge period of time that needs to be covered concisely. The Yellow river civilization is said to be the cradle of the entire Chinese civilization as this is where the earliest dynasties were based. It was around 2700 BC that the legendary Yellow Emperor began his rule, a point in time that later led to the birth of many dynasties that went on to rule mainland China. In 2070 BC, the Xia dynasty became the first to rule the entire China as described in ancient historical chronicles. From then on, there came a number of dynasties that held control over China in different periods of time until the end of Qing dynasty in 1912 AD with the Xinhai revolution. And thus ended more than a four millennia history of ancient Chinese civilization that fascinates historians and commoners alike to this day. But it did not happen before they gave the world some of the most useful inventions and products such as gunpowder, paper, printing, compass, alcohol, cannons and many more. The ancient Mayan civilization flourished in Central America from about 2600 BC and has been much talked about in recent times because of the timeline of the calendar they had created. Once the civilization was established, it went on to prosper and become one of the most sophisticated civilizations with a booming population of about 19 million at its peak. By 700 BC, the Mayans had already devised their own way of writing which they used to create their own solar calendars carved in stone. According to them, the world was created on August 11, 3114 BC, which is the date from which their calendar counts. And the supposed end was on December 21, 2012. The ancient Mayans were culturally richer when compared to many of the contemporary civilizations. The Mayans and Aztecs both built pyramids, many of which are larger than those in Egypt. But their sudden decline and an abrupt end had long been one of ancient history’s most intriguing mysteries: Why did the Maya, a remarkably sophisticated civilization made up of more than 19 million people, suddenly collapse sometime during the 8th or 9th centuries? Although the Mayan people never entirely disappeared—their descendants still live across Central America. 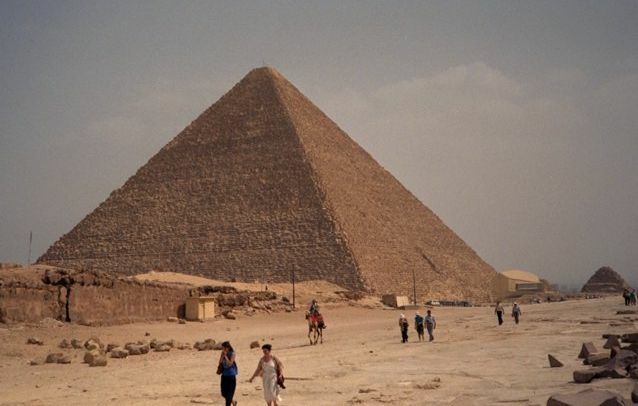 Ancient Egypt is one of the oldest and culturally richest civilizations in this list. The ancient Egyptians are known for their prodigious culture, the ever standing pyramids and the sphinx, the Pharaohs and the once a majestic civilization that resided by the banks of the river Nile. The civilization coalesced around 3150 BC (according to conventional Egyptian chronology) with the political unification of Upper and Lower Egypt under the first Pharaoh. But this could not have been possible had there not been early settlers around the Nile valley in early 3500 BC. The history of ancient Egypt occurred in a series of stable Kingdoms, separated by periods of relative instability known as Intermediate Periods: the Old Kingdom of the Early Bronze Age, the Middle Kingdom of the Middle Bronze Age and the New Kingdom of the Late Bronze Age. One of the oldest civilizations in this list, the Indus valley civilization lies at the very cradle of subsequent civilization that arose in the region of the Indus valley. This civilization flourished in areas extending from what today is northeast Afghanistan to Pakistan and northwest India. Along with Ancient Egypt and Mesopotamia, it was one of three early civilizations of the Old World, and of the three the most widespread, covering an area of 1.25 million km. Entire populations of people were settled around the basins of the Indus River, one of the major rivers in Asia, and another river named Ghaggar-Hakra which once used to course through northeast India and eastern Pakistan. Also known as the Harappan civilization and the Mohenjo-Daro civilization – named after the excavation sites where the remains of the civilization were found, the peak phase of this civilization is said to have lasted from 2600 BC to around 1900 BC. A sophisticated and technologically advanced urban culture is evident in the Indus Valley Civilization making them the first urban centers in the region. The people of the Indus Civilization achieved great accuracy in measuring length, mass, and time. And based on the artifacts found in excavations, it is evident the culture was rather rich in arts and crafts. And here it is, the first civilization to have ever emerged on the face of planet earth since the evolution of humans. The origin of Mesopotamia dates back so far back in the, there is no known evidence of any other civilized society before them. The timeline of ancient Mesopotamia is usually held to be around 3300 BC – 750 BC. Mesopotamia is generally credited with being the first place where civilized societies truly began to take shape. It was somewhere around 8000 BC that people found the concept of agriculture and slowly started to domesticate animals for both the purpose of food as well as to assist in agriculture. People had already been creating art much before all that. But all this was part of human culture, not a human civilization. And then the Mesopotamians rose, refining, adding and formalizing all these systems, combining them to form the first civilization. They prospered in the regions of modern-day Iraq – then known as Babylonia, Sumer and Assyria highlands. Modern-day cultures and civilizations owe a lot to the civilizations that originated after millions of years of evolution in human history. From the ages where there were no defined means of communication and hunting was the primary source of food, to an age where agriculture gave the main staples for food, animals were domesticated, societies were created and then eventual changes were continuously made that led to the societies we live in now, the human civilization has come a long way. Each individual civilization listed out here contributed in many ways – new inventions, new ideas, new cultures, philosophies, lifestyles and what not. From the very cradle of civilization to this very day – what we are now has been the combined output of the subsequent civilizations that came in between. Loved your article, thank you very much. It was very informative yet concise. If you use the definition of civilized in the dictionary these may be the top ten, but there is evidence that the Aborigines of Australia have been around for close to sixty-thousand years. They believed “the Rainbow Serpent” created everything and everything belonged to everyone, thus they had no wars. That sounds much more civilized than the world we live in today. What about the Khoisan (foraging San/ Pastoral Khoi) of the Kalahari? In the 1990s, genomic studies of worlds peoples found that the Y chromosome of San men share certain patterns of polymorphisms that are distinct from those of all other populations. Because the Y chromosome is highly conserved between generations, this type of DNA test is used to determine when different subgroups separated from one another, and hence their last common ancestry. The authors of these studies suggested that the San may have been one of the first populations to differentiate from the most recent common paternal ancestor of all extant humans, the so-called Y-chromosomal Adam by patrilineal descent, estimated to have lived 60,000 to 90,000 years ago. Similar to findings from Y-Chromosome studies, mitochondrial DNA studies also showed evidence that the Khoe–San people carry high frequencies of the earliest haplogroup branches in the human mitochondrial DNA tree. The most divergent (oldest) mitochondrial haplogroup, L0d, have been identified at its highest frequencies in the southern African Khoe and San groups. The distinctiveness of the Khoisan in both matrilineal and patrilineal groupings is a further indicator that they represent a population historically distinct from other Africans. Also…African pygmy populations are genetically diverse and extremely divergent from all other human populations, suggesting they have an ancient indigenous lineage. Their uniparental markers represent the second-most ancient divergence right after those typically found in Khoisan peoples. Recent advances in genetics shed some light on the origins of the various pygmy groups. Researchers found “an early divergence of the ancestors of Pygmy hunter–gatherers and farming populations 60,000 years ago, followed by a split of the Pygmies’ ancestors into the Western and Eastern Pygmy groups 20,000 years ago. We’ve now crossed the threshold from ancient history into deep history. Dispelling many myths as we move along. Do these ancient Africans have some man-made buildings or cities that could prove their existence? Because words like ‘foraging’ kind of give me the impression that they were nomadic and sourced for food either by scavenging (or foraging) and or hunting. If so they did not qualify as civilizations. Homo sapiens sapiens (modern man) exist more than 30,000(?) years ago but civilizations only appear after mankind understood the concept of irrigation which in turn allow farming which then led to towns and cities constructed. What I am curious to find out is with the discovery of several more ancient civilizations what is the official word on Gobekli Tepe. It is supposedly older than Mesopotamia by 3,000-4,000 years circa 7,000 B. C. so would Mesopotamia still be considered as the earliest known civilisation? Thank you. There are man made ancient african buildings. Plus i got some problems with this list. The kingdom of aksum is way older than all those American civilizations such as the mayans and the incas, but it’s whatever. Thanks for your tireless work, it is a credit to you. I’m with Ben not just because I’m Australian (Germanic Keltic Australian that is, not Indigenous) but because of the evidence we have today. Starting with DNA this article points to the work that finds like many other works that Indigenous Australians represent one of the oldest continuing human cultures and civilisations. # Indigenous Australian art goes back thousands of years and is still visible all over this continent and is spectacularly visible in the great art galleries of Kakadu, the Kimberleys and the Dampier Peninsula. No doubt ancient African and Eurasian cultures have similar qualities and deserve to be considered as very early human civilisations. But, while what you say is true, the aboriginals are and always have been a culture and not a civilization. They don’t meet any of the varied criteria to be considered so. And what is the criteria of a “true civilization” as you call it? I always thought that humans have become “civilized” when they stop living as hunter-gatherers and start living in a non-shifting community in an area (or maybe move from one location after another) but still within one community. I also thought that a mark of a civilization is when humans have some sort of social structure (whether it is matriarchal or patriarchal leadership) when they could self-govern themselves. There is hard proof that aboriginal australians are originally from south asia along with some other small islands and regions. They originally are more of direct decedents of essentially south asians. But to be noted, the middle east/india region of the world is where majority of everything was actually created, not africa or europe. Ancient medicine, math, science, along with a lot of the main pillars of our societies were created by these first civilizations which were all in the asia/africa region (which includes middle east). No Sir, the Aboriginals and most people from the oceanias migrated out of Africa 75,000 years ago. There were several waves of migration out of Africa. Africa is the most genetically diverse continent. A DNA test confirms that the Aboriginals, as well as ALL people across the earth, share same genotypes as the Sand Bushman in South Africa. Correct sir. These people migrated out of Africa to other parts of the world to create the people that are currently there. And most people would prefer not to say so but the so-called middle east was actually part of Eastern Africa. The Original people of Mesopotamia and Sumer were BLACK. agreed there is much left out here. All male based and for some reason ignores the earlier Goddess/ Pagan traditions that worshiped the great Mother, oh right….before the peaceful tribes were conquered. How do you know they had no wars if we have very little historical evidence of them? Especially if the Aborigines were around 60,000 years ago…there just isn’t any evidence to suggest one way or the other, but only assumptions. All societies and all humans wage war – this is based off what we actually know (which is still very little considering the thousands of years we’ve been around – so much history [written, verbal, art, etc.] has been lost/forgotten too). War, misery and other issues have always been here, and unfortunately, will always be here. I highly doubt the Aborigines – or any other civilization – did not wage war. It’s hard for a white man to understand that isn’t it. The Aboriginal idea was that “everything belonged to everybody” thus there were no wars. Absolutely true. The Australian Aborgines were in harmony with nature and each other roughly 50,000 yrs ago. This is a serious ommision of the most ancient civilisation . And also sounds as confused as today´s society, where people still wonder where we came from. The evidence point to a design. We were designed for an infinite being that most people call God. I call him: My God, the one who sent his Son to die for humankind. I appreciate your recognition of the indigenous people of Australia. I suppose there has to be some irony in the fact that they were not recognized as human by Australian govt till 1950’s. Breeding programs and such. Disgraceful. Let me guess… Sounds like Arun is speaking some form of modernized romanized Gobeklian language. Yes? Not even close? I’m sure it’s not Aramaic nor Arabic. Well, if so either Arun… you got to fire your English teacher or your keyboard is fried! As an Australian: this is correct. The exact date of Aboriginal civilisation in Australia is uncertain but believed to be 65k-100k years ago. Also: Aboriginal, not Aboriginie. Call Aboriginal people that to their face and you might encounter some issues as it’s a super dodgy term and most don’t like it. I don’t know too much about geology and your comment made sense to me at first. But the response from Layan Y Karma’s is a valid theory in itself. Perhaps continent drift happened through earth flooding (Noah’s Arc), melting of ice from a previous ice age. Did you mention polar reversals? Could civilizations contact with each other from Africa to South America pre historically? Too much history missing from fire that destroyed the library of Alexandria. All Indian Languages immerged from Sanskrit. yes absoulitly right sanskrit is a mother of all languages ……..
All North indian languages arrived from sanskrit. But sanskrit comes from tamil. And if you searched in the internet also you can find tamil language is the core root of all the languages in the world. Many scientist also confirmed this. Try this word in google “alex collier tamil” Alex collier scientist has confirmed this. Kumarikandam is the very oldest and may be the first civilization in the world. That’s not true. Tamil and Sanskrit are entirely different. Tamil is the parent of Dravidian south Indian languages. when did the Internet and Google came to an Existance? when did the Alex collier born? You believe Internet,Google and Alex collier More than our Hindu Purana’s. Vedic Sanskrit, was considered as the language of the gods. Sanskrit was born when the Vedas Born. i am not degrading your Tamil Language Being on Hindu We all should Respect our Vedic language Sanskrit, please Never Say Tamil is the Core Root Language for Sanskrit. Actually this is false, TAMIL is an OFF SHOOT of Sumerian culture when the sumers fled north after the babylonian invasion. No question that the Australian aborigines are the oldest surviving culture (not sure about the San) but were they a civilisation? Certainly Aboriginal material culture is showing itself to be more complex each day – ie the recent discovery of a rock solar calendar, and the earliest ground tools in the world, but it’s difficult to call Aboriginal society a civilisation. Certainly they had and have an empire of the mind comprising mythology, law, custom, epic songs and poems, art, and a shared canon of oral literature. Nomads can be civil but I don’t think that they can be said to create a civilisation. I think it has something to do with staying in one place and building common use structures like agoras, palaces, libraries, courts, religious buildings and so on. Who cares though. Aboriginal society punches above its weight in attracting the worlds attention. More recently, the discovery of Göbekli Tepe has changed this timeline, not that these civilizations (Egypt, Mesopotamia) aren’t the oldest but that they may be older and there may be others we didn’t know about before like the one in Turkey. Leopard man statue in Schwaben area German caves dates back 45,000 BC German. It is the oldest carved item found . They had Bronze star discs. The Celts in cave sites in germany after that are 12500BC. The mummies are still there with jewelry. Open Daily for visits. 500 years older than the Pyramids; is The Irish famous — New Grange. It is a burial tomb that calendar dates the three shortest days of the year. There is a writing on the tomb walls . Around it are moon charting posts–by inserted drilling holes. Knowth , next to it; dates when to start Spring and planting. Near Slain, Ireland. 330 BC. Before that there were only timbers back to 4200 BC , they are being excavated. Nice article. But, what about the dwaraka city from india. Recently found this dwaraka city from gujarath state of INDIA. 32,000 years old..
“dwaraka city” is that a civilization? It is clear that this article is talking about CIVILIZATION. City is an evidence for existence of civilisation..
And what about Danube river valley civilization? Older than than Mesopotamia and more civilized.. the old slavic nation ! Still alive in people of Slovakia Czech Poland Serbia Croatia Ukraine Russia Belarus Bulgaria Slovenia etc. You have made an interesting point that may be linked to the people who lived before the great flood, and those who did survive it, and propagated the human race thereafter. However, who exactly were these people and what did they leave behind as proof of their existence, and the proof of they being of more ancient origins than the Sumerians and Akkadians? You provided us with a list of the Slavic nations that are of modern times, but if your theory is correct, what were these people known as, specifically? Did they have a writing system? What about their religious, and spiritual beliefs? Recently, there were some massive stones that were discovered, I believe in the northern Russian mountains. These mega-ton stones, according to the scientists who discovered them, are not of natural formation; but were rather “made” carried through a densely forested area and raised in rows of approximately 100 yards at a total elevation of almost 140 forty feet from the ground. Is there a possibility that this civilization of which you speak, were the amazing builders architects of this paleolithic structure? Do a little more research into your theory, and see if there’s any concrete evidence /proof to substantiate your claim. Thank you for the comment, though. Very thought-provoking. Are you talking about Baalbek In Lebanon? Have a look by googling it. Huge artificially cut stones! And there are many theories about what they were used for. The ancient Greeks and Romans built temples on them but are not the builders of the plateau. was “created” as a slave. Do some more reading and studying before you make unsubstantiated claims. Are you getting this information from a religious text or something because this is not based on science or hard facts that hav been proven. I am not going to bring religion into this and just state wat science says. Science says that we evolved from other species, Apes. There are the bones of our ancestors found in the Middle East to prove it. Bones that have distinct aspects of a human’s and an apes skeleton. If you want more proof look it up. Also the fact that these bones and all of the bones found were in the Middle East proves that humans originate from their. And how can you substantiate your claim that the first human was called ADAMU? The first human existed probably around 200,000 YA. No writing existed then so you can not prove that. Also, no one was the FIRST HUMAN; that doesn’t exist. We are all a product of evolution and that takes 100’s of thousands of years to consolidate a trait. Dwaraka City : Birthplace of God KRiSHNA @ Dwapar Yug of Copper Age of Cyclic Eastern Philosophy or Hindusim Dharma @ Concept . God KRiSHNA : Holy Gita Science is based on many human lives one needs to attain salvation of freedom of no life. My own research is if a Human is not Human in one life there is no point even giving another life, because that Individual won’t change to be human race or rather animals at life business of species of civilizations . My concept is more practicality of engineering so that this world would have saved & protected in the past than in the future of nuclear armageddon crisis of civilizations . My philosophical engineering concept @ practicals of real world : For a human one simple word , hence it should be one simple life of freedom @ no life . I’m not God Krishna to understand the complexities of many lives, rather , be simplicity of one human life , based on what happened in the past life business with Human Civilizations & Human Race . Yeah, early literature aboyt trading activities, coinage, mega temples (one of which still exist) well planned roads, buildings etc doesnt count. Stupid when you say city it doesnt mean there was no civilisation around it. Great cities never come into exostence without any civilisation to back them up. Go look up dwarka city. Earth existed for millions of years prior to Dwaraka Civilizations & the city itself . There were ancient civilizations before the won or Yuga of Dwapar as this City became famous because of God KRiSHNA ‘s birth , life & death @ Dwaraka City & Civilization & Peoples @ Dwapar Yug or Eon @ life business . The historical records & artifacts clearly proove with that Holy Scriptures literature . The city of Dwaraka went to so many times submerged under floods before , during & after like any coastal cities of civilizations , life & constructions . The most famous is God Krishna’s wealthiest temple built in memory of him by his ardent devotees with carat of Gold which is not even 24 carat but above & beyond the current zgold Carat . His devotees even built the same one in the Middle East Holy Lands of Yerusalem ( Origin Source : Jerusalem : Yadava tribe which God KRiSHNA was born ) right at the Temple Mount prior to the current existing modern religious faiths & infrastructures built in at that place . your right, but their histories mention much older events. R u now the meaning of CIVILIZATION?? Google…. DHARMIL SONI You are right with the Indian Civilization being one of the oldest one. The Indian Civilization was the dominant Civilization pre Atlantis. But unfortunately both got destroyed for similar reasons out Civilizations might be at an end today. questionablehistory.com and be a slow progression explaining the way I and a few “experts” see our human history! dwarka city is all fake nothing is real.. so called shri krishna never existed. it is just a manifestation of ideologies spread by brahmin class of india. much of it has no relevance. hindu culture itself has no roots if u look in a practical manner. nothing existed before indus valley civ. and so called epics such as mahabharat nd ramayana claim to have been existed atleast 8000 years back in a time when stone was just discovered as tool these people claimed to have been using bows and arrows and shields in war. not to mention the vayu yaan using mercury. i mean use of alchemy in stone age.. seriously ? Ashish you don’t knwo anything, NASA has itself proved that Dwarka City Civilization was the oldest one and NASA has also agreed about the Ram Setu (ADAM’s Bridge). RAM sethu is now an under water bridge linking India and Sri Lanka. It got under water now due to increasing level of water in oceans and NASA is also researching about all the weapons which Indians used to have(including Nuclear weapons and Shri Krishna’s Sudarshan Chakra which was time dimension controller kind of a weapon). Dwarka city is the oldest one which has been discovered till date. Its ranges between 32000-100000 years old. And then I consider Egyptian civilization as the second oldest one because a few years back , researchers have discovered a 20000 years old pyramid which was undergrounded by sand. Its 100% proved now that we Indians have best technology and weapons and you also know that we have given the concept of 0. many mathematical theorems have been given by us and the credit of many mathematical theorems have been hijacked by English and other mathematicians. Neil Bohr(father of modern atomic theory), Heisenberg and many other modern days scientists had committed that they got idea of this kind of sciences from HIndu Vedas. Nowadays, NASA has hired Sanskrit language scholars(World’s most ancient and richest language–mother of all languages) and they are translating all the VEDA, Upanishads, Shashtra and other scientific Hindu texts to English and other modern day languages. There is a Vimana Shashtra which gives ideas, models and designs of aprrox. 900000 Air machines which can even travel from galaxy to galaxy and also capable of time travel. Wait for some time, NASA will prove that HIndu/Indian civilization was the most scientific civilization in the world. Aeroplane/Glider was not first made by Wright Brother, it was made by an Indian during British rule in India around 1892 and Britishers forcefully taken that model from him and later on when Britishers were unable to do anything then they sell that idea/documents/model to a company of Europe(France or any other country) and later on before that company could be able to do anything with that , it got insolvent and later on in approx 1900, Wright brothers stole the idea of Flying machine and then they created Glider. Pranav, do you know who built NASA and installed it’s culture? Werner von Braun, one of the staunchest NAZI’s there ever were! Liars by nature and living of their lies. They will make anything sound possible as long, as it serves their intentions. 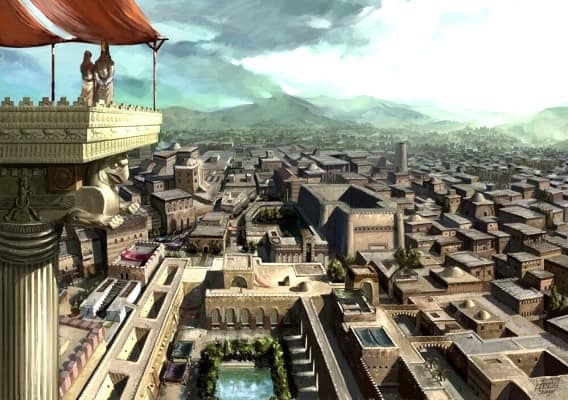 If Dwarka city was and is the oldest city ever discovered and as you say 32000-100000 years old, then the next oldest civilization would be the Sumerian civilization and the Epic of the Anunnaki would either be crap or the Anunnaki have started mankind off much earlier than the 40,000 years others have talked about. Just don’t tell me that “god” was the originator of Homo Sapiens, please. If he was, he was not very wise and if he created mankind in his image, I don’t ever want to meet him! The “God” I know is our consciousness and everything that is on Earth and in the Universe! Not a Being, it, or he/she. The word “God” means “I don’t Know” and “will never know”. Whatever it, he, she, it is it is indistinguishable. If you ever would understand God, your brain would burn out! And the Religions? They are only created by mankind to suppress mankind and not to favour you. How many wars have been fought over Religion and how many people have been killed and persecuted over the Millennia? As long, as there is mankind, there will be lies, killing, underhandedness, and I leave it up to your imagination, what! If we, humans, don’t open our eyes, then there will be no GOOD future but more of the same! And it is “funny” that every 3600 years there was a sudden increase in mankind’s knowledge until modern times and we acquired our own knowledge and manifold it within a very short time, historically speaking. Just think about that for a while! History has been falsified by mankind for mankind’s own purposes and, you can be sure, these purposes were not benevolent! Dwarka is indeed a oldest civilization known as Daruka van at that time. Interesting to know other comments. Maybe you guys believe too much in what the mainstream scientists are trying to force down your throat. There is no dobut in my mind that we are completely wrong in what we believe. Do I believe in God Yes, do I believe in any life, magic, powers, or abilities out there being gifts from God Yes. BUT do I believe that this planet is as young as many says? NO. Do I think that we have had many small and big world wipeouts during all of life on Earth? I think there have been many different homid like species on this planet over millions of years. I do not think 8000 years ago or even 10,000 years ago was the first homids. I believe far back to the 12,000 years ago or further. Look into what Plato was told by the Egyptian priest, maybe Atlantis was real or maybe he used those stories to tell of other catastrophes. They the government(all over) are hiding the truth of our history from us. check under the sphinx. Check under the pyramids. check Stonehenge. these are places and things no human could have made with as little knowledge we are led to believe that our ppl had back then. Ya way too many mysterious things out there. The facts are this. We only remember the past 8000 years but our earth is much older than that and I totally believe there are even older civilizations out there then you have on this whole list. We have 6000 years old civilization called aarya civilization in india. I don’t think specific cultures are a disaster for not been stable or wealthy or evolved….I think, nothing is for ever and because of that..older civilizations are not doing well and disappearing….greed, materialism….I think could be their down fall…to my understanding us humans go around in circle repeating the same mistakes…of creed and intentions to control others…just for the sake of power…and I don’t think we are the generation to fix it….perhaps the great flood was a opportunity to start over…perhaps another great flood is needed and hopefully our old mistakes will be preserve so we can involve towards peace…..at the end is all up to us….our planet responds to our behaviours…perhaps the answer is taking care of it if we want to evolve as humans…..if you really noticed, most of those civilizations die out because low resources diminishing or because if war…in order to process we must take into account past mistakes…taking care of the planet is the most important survival technique…we are all those oldest civilizations….going in circles….. I recently read a book by Russian author Yuri Shilov stating that the Arattan civilization preceded the Sumerian civilization, and that the center of the Arattan civilization was in modern day Ukraine. Check out Shilov’s book and see what you make of it. It said that the gods of the Arattan civilization were the same as those of the Sumerians, suggesting that it was the same civilization. There is a huge difference between a civilization with all its required aspects and just an old city or grave or whatever! Actually the Mesopotamians were the first civilisation ( not because I’m Iraqi ) since all of the other countries have been stealing their inventions . Why do you think there is a war happening??? Archaeology however indicate that at Cuddie Springs NSW Australia, that Aboriginal people were making bread about 30 000 years ago. The discovery is the earliest evidence of bread making in the world. Most believe that Egypt is where bread was first baked 17 000 years ago. Egyptian tombs have been discovered with boomerang and eucalyptus leaves. What about Mehrgarh Balochistan ,which date backs to 7500 BC. that is true it is by archaeology and radiometric and carbon dating the 2nd oldest known civilization in the modern world. I don’t know where the writer of this article got those incorrect facts from about these baby civilizations being old. mehraghar is a neolithik site where small settlements were living. they knew agriculture but mehraghar was not a big, well organized society. Why is it that almost always the term “neolithic” is applied to Eurasia, but not to Africa- where the terms early, middle, late stone age are used? Even though it’s exactly the same time period. Victorian racial/ cultural bias perhaps? Yet- this type of thinking dominates the western mind. really the early mayan civilization (pre classic) range from 1800 bce-250ce before classic mayan culture emerged. what about the African civilization? Werent they the first? NO! If you can backup your claims of africa being the first civilization then what is that african civilization that is OLDER AND GREATER than the Mesopotamia? Again, we are talking about the CIVILIZATION not just human activity/settlement and not also city. I have to agree, in part with Anti- Afrocentrism. The problem is a question of semantics. : having an advanced or humane culture, society, etc. Which raises another question regarding how you describe the terms, advanced culture, well-bred and refined. In my opinion evidence of the Aborigines having been around for over 50000 years would make then the first known civilization on earth. They were polite, reasonable, and respectful, pleasant and comfortable and didn’t need to be managed, organized or controlled. They believed the Serpent Rainbow created everything, and everything belonged to everyone. They could have been considered uncivilized by some well educated persons interpretation of what civilized meant, but they had no wars because there was nothing to fight over, and that to me puts them eons ahead of the rest of the known “civilizations” of the world. But then the so called civilized British arrived in 1778, considered them savages and began to slaughter both them and their way of life. Every civilization has failed, no matter how great they considered themselves. The Aborigines seemed to be the most civilized people on the planet, until “civilization” showed up. What about the Nubian civilisation that’s widely ignored by European archaeologists to propagate the notion of Africans as uncivilised . Recently its found that Nubia preceded Egyptian civilisation by a number of years. Nubia (parts of modern day Sudan) has evidence of the first oldest monarch. Before you attack Afrocentrism remember Europeans rendered all other races as savages and uncivilised at one point in history except them while they perpetuated more savergery and incivility than any other conquering race. Why is it that no one can agree which civilisation came first? Because of white western bias. To Anonymous! About Romania, read Tartaria writing 1000 years older than Sumer writing ! and PS the Aztecs of Mexico aren’t ancient. Maybe their origins- but not their civilization. Mesoamerican history is totally biased. There is plenty of evidence from linguistics, pottery, pollen studies, DNA, and countless other sciences that validate the fact that some Mesoamerican cultures flourished as far back as 12,000 years ago. Think about that!! Another cradle of civilization perhaps? Now that we know that the new world wasn’t that new, we’re in the process of rewriting a more accurate account of history. That is correct. The aztecs were actually the last big civilization to develop before the arrival of the europeans. Mexico´s most ancient known cultures date back to around 3000 A.C, with the advent of the Olmec civilization. This isn't proved. 320000000 years old Dwaraka city just a hypothesis. Why ? Will looking at it somehow tell you when it was built ? Amazing ! You guys are having a field day flooding this site with nonsense about some city that was supposedly older than anything else by about 30,000 years but you have yet to explain why people would simply ignore this “fact” if it were true. The reason is simple : It’s nowhere near as old as you think it is and since you have no proof other than a few assumptions (last time it was on dry land was x years ago) you think that that qualifies as proof. It doesn’t. There are a lot of reasons why any place would become submerged. In fact, that sort of thing happens remarkably frequently. How many things have been “discovered”, “analyzed” by “scientists” and then later been proven to be not quite what they thought it to be? Our Science continually corrects itself over time and evolves. We have been duped by “science” for at least the last 126 years, ever since the findings of Nikola Tesla. We have been Brainwashed ever since the creation of mankind. Ever since the creation of the Brotherhood of the Snake which has remained intact ever since it’s inception but under different names. We are made to believe (translate “I don’t know”) that the Petroleum Technology is all there is but some of us know better. What mankind is doing for the last couple of hundred years is to treat everything like if we were switching off the light switch with a sledgehammer. Think about this for a while before you answer the question! And that “hypothesis” is currently sitting a few miles off the coast of Dwarka, Goa with a small part of the city above the water and have become Pilgrim site for the past 2,000 years. West are ignoring it not because the site is a “hypothesis” but because they are “hypocrites” who still believes that the World is about 6,000 years old (based on a 1,700 year old book called the Bible). Firstly refresh your minds timeline .. Where bible is 1700 years old… And please tell me the verse where it mentions the world is 6000 years old … Or in Quran which is more closer to the time line you mentioned. Further more yes there are cities much older than time frames mentioned in this article. Please open a dictionary and read up the difference between city and civilization. Finally hypothesis is a word which does not agree with followers of mythologies ( Hinduism ) so to all of you obsessed with some ancient city near Gujarat … Get a life and understand the article. Lol really u think so. Its proven that indian culture, civilization and all other things are the oldest on this world. The creation of this earth through science and hindu matches. This proves everything. There is no other arguement. 1. Micheal Servetus (1511 – 1553) – burned alive for wanting the Church to reformed. 2. Galileo (1564 – 1642) – on house arrest for saying the Earth revolved around the Sun and not the other way around (another “fact” not mentioned in the Bible). And many more. You will not find anyone being presecuted by Hindus for saying similar thing. Matter a fact, quite the opposite happened. Most of the persecution from the church were for political reasons, just so you know, not theological reasons. Galileo was best friends with the pope and a devote Christian, so why was he persecuted? He portrayed lower members of the clergy as uneducated idiots. People will often do things for secular reasons under the guise of religion. Hey rain, those “mythologies” created the modern number and place value system including zero. It also made buttons, swimming pools, plumbing (thats right it was not the romans), plastic surgery (as a punishment), 3 major religions today (buddhism, jainism, and sikhism are all descended from hinduism), and two of the oldest languages on earth, one of which is still spoken today (tamil). Above all, these “mythologies” are what make up the oldest religion on the face of this planet. By the way, city and civilizations are closely tied. A city is an organized society of people working in a well-mannered fashion. Civilisation is just an extension of a city. I disagree with the notion that Civilization is just an extension of a city. There are great number of Civilizations which did not even had walled cities or complex bartering system or large armies. Creating cities depends on the environmental factors. 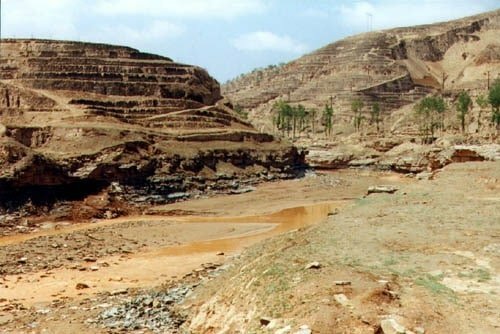 You cannot create large cities in the middle of desert if there is no water supply to support the populations – which is why the major cities in Ancient Worlds created around major rivers like Nile, Eurates, Ganges and Yangtze. In Africa, people lived in nomadic style for generations, moving from one place to another in order to herd their animals and hunt/gather natural resources. Even the Badawins of the Desert lived nomadic life from one water hole to another, trading along the way. Therefore existence of walled cities should not be a mark to indicate civilization. Civilization should be marked by its people’s ability to survive, adapt and produce new technologies and skillset. No that’s not true . I reject Bible Theories prior to that there were ancient civilizations existed on the earth as per the historical records. BHARAT is the oldest civilization by historical records to exist & probably may be the last one to exist as well on the earth system @ life business . Gobi, the bible is not the reason people believe the world is only 6,000 years old. In fact in Genesis it talks about all the generations of man and the lifetimes of the men all add up to way more then than 6,000 years. An ill advised clergyman decided that the world couldn’t be more that roughly 5,000 years old. He was obviously wrong. You though are correct India is one of the oldest if not the oldest civilization. Your legends go back over 100,000 years and are probably more fact based than legend. Oh really? Did your Bible mentioned in detail when these “generations” of men were born, how long they lived and where they died for anyone in the Church to able to make such “accurate” calculation? Did your Bible mentioned how long Adam and Eve lived on Eden (between the time the Earth was created to the point the couple was exiled)? Oh, and before you ask whether Hinduism have such records – IT DOES. Between Ramayana epic and beginning of Mahabratha, it is recorded (by name) of Rama’s predecessors leading up to Rama’s birth and then (about twenty Solar Dynasty Kings as they were known) lineage down to Kuru Dynasty which lead to birth of Pandavas and Kauravas, It is too long or I could list it down. First of all be the honest about History and read the Indian system, culture, and history. when you will read it you will found that it is began from the god. First off anything written by man is not the full truth and is twisted to the will and perception of it’s author, therefore no book whether religious or historical can prove any existence of God. The vedas never mentioned a god. From what I understand they describe “people” coming from the sky. In fact just about every single religion on earth describes “people” coming down from the sky to build the first city and thus civilization began…and with it came slavery and war along with all those other nasty things that came with civilization. We were much better off before. Yes, 85,000 years ago when there were NO Homo Sapiens, that is when you say you had civilizations. Man put down that pot and focus. I understand that you are not ignorant as you are reading and replying so why not grasp full Knowledge. Actually 250,000 years ago, Homo Sapiens already existed. By 80,000 years ago they have spread to most regions in the Planet except for colder regions of Antartica and Artic and the desert region. 80,000 yrs – the Super Volcano Mt. Toba in Sumatera had erupted causing a change in a global scale and number of population had dwindle to about a few thousands, mostly around Asia (India, Africa and South-East Asia). It is these people who spread across the globe and created the human population that exists today. Where the earliest human bones are found which date backs to 21000 years BCE. It is not species found in dwarka but bones of human being. It is ancient country kangleipak in between eastern tract of India and western tract of Burma presently Myanmar. Rama sethu is dated back 1,75,000 years ago and nasa claimed that it is a man made bridge and there is only one reference for this bridge which is in ramayana which happened before a long time.These western white people think they are superior but they don't know the indian civilization is the oldest civilization in the world. Actually what we know as Western Civilization had only began around 1500s in Europe after a time period called the Dark Ages. This “Renaissance Period” as it was known was accompanied by series progress made – especially with production of paper and books (technology which Marco Polo brought back from China in late 1200s) which allowed Westerners to copy knowledge from the Muslims, Indian and Chinese traders and made it into their own. This allowed them to travel around Africa to Goa, India in 1400s and then to Malacca by 1500s and finally reach China and Japan by 1600s – something that Indian and Chinese traders had been doing since 1st AD. So the bottomline is – Western Civilization is an immature but arrogant kid who kept on claiming that they did it first, when all they did was copy what someone else had done. Harappa and mohanjadaro are Indian civilisation it related to early hindu civilisation.Pakistan was not existed that time and also their were no muslims in subcontinent. Islam came in subcontinent only 500 yrs ago. Harappa is what they have full evident structures for, there were civilizations before that in India. Pakistan came into existence 68 yrs ago (u knew that) and Islam 1300 yrs ago (as I have read). So from Harrappa to long after Vedic Period, It was all Hindu. First of all I would thank you a lot for such a good and very useful article. I was preparing some lessons for the general intellectual formation and needed something about civilisation and its ranking. It looked to me a foolish idea because one could never find so ready something that he is trying to find. It was really a surprise. I thank you so much for such a contribution. C14 Carbon dating has proved conclusively that pre-Indus valley civilization with pottery, cities with drainage existed in Haryana at around 7500 BC. That makes it the oldest “civilization” (as opposed primitive humans making cave drawings). Unbelievable youguys left out the African civilizations e.g,Ethiopia,Cush. Didn’t leave out. Africa’s civilizations are smaller and its contribution to the World was overshadowed by the Egyptian civilizations which came after it. It is true that Old Egypt started further south (along the Blue Nile) toward Sudan and lower regions. Today, not many could knows about the great Zulu Kingdom, the Bantu States, Bachwezi, Kongo or many other civilizations that exists with Egypt or after the fall of Egypt. Thing here is, by the time Harappa and Mohendajaro was build, human civilzations in Indus valley have reach significant amount of progress. They were using metal tools, planned cities, water and land management as well as have proper government. 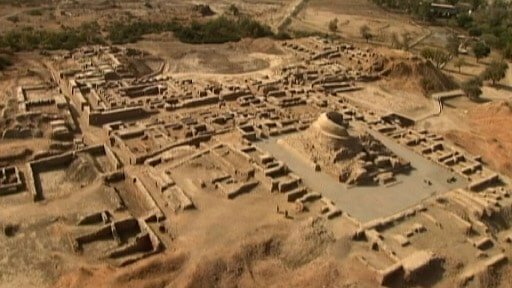 Matter a fact, archaeologists had found some 1,000 cities in Indus valley, with Harappa and Mohendajaro to be the biggest. And recent discoveries shows that traders from Indus Valley were trading on sea routes, all the way to Mesopotamia as Indus valley official signets and jewerly were found in tombs of people buried in Middle East. These achievement cannot be made over night or within a few decades. Some of them could have taken hundreds of years to perfect. So, when did these Indus cities were created? How old are their civilization? How long did they last? Comments are more informative than the article. Thanku for your ignorance and ego people and knowledge too. History doesnt matter people, whats your contribution to the society except this article. We all come from great civilizations about which we read in book and on google instead of hearing about it from our parents..i cant understand why cant we all progress and prosper and make some actual real contribution to the planet. We are calling twitter and facebook technological advancement and spending billions on then but they are just a waste of time. No actual real output. Being an indian i m proud of my history too but considering what is my contribution in the history of my country and where are we taking out country. We dont wanna be america or other european nations .it makes me sad sometimes..
Do a little research Gentlemen… Stuff was going down in Africa long before any of your civilisations were around. Dating in the Border Caves in South Africa put origins at 40 000 years ago. If you really are looking for the truth… its easy to find… unless you insist on remaining ignorant. This post is about CIVILIZATION, again CIVILIZATION, NOT about earliest human activities. And reading this, I can understand that this is also about the OLDEST and GREATEST CIVILIZATION, meaning not just being earliest but also those which have contributed a lot to the modern world. So if you all insist that yours or the others are older, oh puhlease read the article again then come back giving what your ”older civilization” has greatly contributed. Riwat (Rawat, Murree) is a Lower Paleolithic site in Punjab [INDIA], northern Pakistan, providing evidence of Homo occupation that is the earliest outside Africa, dating to 1.9 million years ago. Geneticists have scanned the genomes of 173 Armenians from Armenia and Lebanon and compared them with those of 78 other populations from around the world. [b]They found that the Armenians are a mix of ancient populations [/b] whose descendants now live in Sardinia, Central Asia and several other regions. This formative mixture occurred from 3000 to 2000 B.C., the geneticists calculated, coincident with Movses Khorenatsi’s date for the founding of Armenia. After 1200 B.C., the Bronze Age civilizations of the eastern Mediterranean suddenly collapsed … No significant mixing with other peoples after that date can be detected in the genomes of living Armenians, the geneticists said. So, summary here is that there were older civilization before the Armenians in Sardinia, Asia and several other regions who produced the group of people you call the Armenians and this “gene pool” stopped pouring in after the end of the Bronze Age 1200 BC. It does not prove that the Armenians were the first civilization or the oldest, merely a byproduct of several races or group of people. The next stage in the advancement of human civilization will be all the different races and creeds debating respectably with each other.Sometimes agreeing to disagree in a calm and respectful manner ,and coping with our differences in culture etc .The greatest step forward for us as a diverse species is a handshake and conversation. Who cares who invented what/when?! The fact is one of us discovered/invented it! Appreciate our differences and Appreciate each other . Most agree that the Sumerians were the VERY first to take the stage as the first Civilisation and then the Assyrians, Babylonians and other followed suite. The first Empire was the Akkadians though. Put your afrocentricism somewhere else. Just because your afrocentric books, afrocentric history and afrocentric experts claim that your afrocentric civilization is the oldest doesn’t mean they are REALLY the OLDEST and GREATEST. Only the afrocentrist say that. We all know the only greatest civilization of Africa is Ancient Egypt and they are not even black. Just accept that your race didn’t start the advancement and didn’t contribute great improvements to the modern world. What I understand is that this article is showing the OLDEST AND GREATEST civilization, and remind you, city and human activity is different from civilization. And just because you read white history books and believe white scientists and historians doesn’t make their his-story of mankind true. People will do anything and everything to try to discredit darker human beings. All over the world people have been brainwashed to be racist towards people of color. I’m all for reading interesting articles but don’t try to put anyone down to make yourself look and feel superior. A lot of these modern civilizations stole to get what they needed and wanted anyway. Robbed and killed for it. Started wars and wreaked havoc all over the world. So what! People of color were living peaceable all over the world until the white man showed up? No, they were killing each other just like the Europeans were! Modern civilization has brought about progress in every aspect of life that tribal society never could. yay! someone took an anthropology class. Kudos! No, Iranians lived in the area of modern day Persia. At the time they were a tribe of people like any else. Babylon is not the first civilization as you claimed. It was originally a small Semitic Akkadian city which dated back to 2300 BC and fell after the rule of King Hammurabi. It can hardly called the First Civilization. It says INDUS VALLEY CIVILIZATION was established some close to 7600+ BCE. Wake up kids, have some milk! It’s a good thing that some of us use this to re-trace our ancestors or lineage, while others are struggling with regards to there’s being the first. Let’s say all your/our countries did contribute, how has it affected our lives and the lives of our future generations? Is it by cursing, insulting, degrading, abusing, or defaming one another? Or is it by showing good examples by living a godly lifestyle, training up our children in the way of the Lord, loving your neighbour and caring for one another? We are all God’s children, whether you are from India, Africa, Europe, North/South America, etc, and we will all pass on some day. What matters most is how we have lived our lives while we were alive. What positive or negative impact have you made to those around you? The sooner we start recognizing this, the better for us all. The Sphinx is over 10,000 + BCE and that is in Africa…must deal with the facts folks. There are tangible evidences all around us! The artifacts, the mummies, the statues, etc. It’s hard to dispute Africans contribution toward mankind! It’s even harder to dispute ancient Egypt was not black. All you have to do is take a trip to the Cairo’s, British, French and German museums. While you are at it stop at Luxor and take a tour in all of the Temples along the Nile River. I guarantee that you will know for sure that the Ancient Egyptians were tremendous black people and very dark!!! Here’s someone who knows what is talking about. You all can be misguided by the ethnocentrist views perpetuated in your school curriculum, but the facts cannot be denied when they are plane clear. Africa is the womb of all civilization, and africans were the ones who spread acroos the world. If you actually do some research you will see the presence of africans around the globe. Every single continent had african (black people) living on it. You can paint it and argue about it, but it won’t change the fact that africans were the first civilizitionon this planet. This is a joke! Alexander the Great didn’t take power until 336 bc, 200 years later than this lame article states. Also, the Persians didn’t control any of Europe, much less most of it. I could of read this in a public school AP class. Pathetic read! Thing is a lot of you are debating which civilization is “better”. That in itself is ignorant. It’s like arguing about which shade of the color blue is better or which butterfly is superior. FACT. Archeologists continually change the dates of the oldest civilizations with each new find. I wouldn’t be surprised if fifty years from now we had discovered a new city that’s 15,000 years old. It’s a constant changing factor based on new discoveries. Instead of being biased based on your or someone else’s ethnicity, look at facts and then use those fact to prove your point. so much ignorance unleashed in these comments. Many Egyptians were black Africans. Based on current genomic studies, all human life first was grounded in Africa. However today’s truth is tomorrow’s misunderstanding. India is full of different kinds of old civilizations. There is some evidence they may be even older by an order of magnitude. The smartest folks admit how little they know. My perspective is that we have yet to develop a civilization. Civilized people do not mess up the place they live or debase and kill each other. I agree. Instead of everyone using their ethnicity history as a proxy for their superiority complex, how about we just compare notes and admit we all don’t know anything for certain. Leave your skin color and ethnic pride at the door and instead open your minds to real facts, not distorted ones. very true, we are not certain where the first humans existed. however it is best to know that we are all humans best we could do is to improve our human qualities to live in peace and harmony. Brian, you have made the most sense since I had the courage to read this thread. Only the facts matter! We were never there 4,000 or 5,000 years ago. There’s little point in speculating about it. Also, when we continue to promote our own uncertain and sometimes misguided views about something that we know nothing about then we muddy the waters. And then everyone becomes blind to any truth that we might glean from any sensible discussion. The blind cannot lead the blind. And by the way, the article has son many inaccuracies that I have decided to ignore it altogether. Remember, only the facts matter! The Adams Calender in Southern Africa has been dated over 250,000 yrs old a group of ppl wouldnt built something like that but a civilization would unless it was the so called Annunaki who created hunans to mind gold as the so called story goes. Assyrian, Babylonian, Mesopotamian, Chaldeans etc. are all relatives with one another. Being these people came up with the calendar and writing, and are still around, it is safe to go by what they say and go by in regards to the ancient times, since they were the only ones around, recording history. This year the Assyrians just celebrated the year 6750. Mind you, who knows how long after their existance, that the calendar even appeared. If a flood happened like the Bible says, then they are even much older than the calendar date. Before mocking me saying the Bible, the first recorded book ever written is the Epic of Gilgamesh and this also refers to global flood. In a short, I highly find it suspect by anyone else’s word for them to be an older civilization the them. Everything that you wrote is 100% as factual as we know of history & archaeology! But one thing that you failed to mention….reading your post u seemed very proud….is that the people that live in the land today are not always the same people who named the land in antiquity! People migrate! Prime example, I’m pretty sure you’re no stranger to this quote…. The nations on Assariyia of antiquity you named them right but they were Africans! They descend from Ham! Dear friends, please don’t quarrel. Does it really matter – which one is old and which is the oldest! Academic discourse and interactions are always good. At this stage and on this platform, our words – so to say ‘conduct’, really speaks how civilized we are. Well, it is individual responsibility: a whole country or nation should not suffer the blunt of our ignorance (regret to call it ‘knowledge’ for the way some of you reflect). You made a mistake, the oldest civilization is the civilization of Berbers (Amazighi) in North Africa (Libya, Algeria, Tunisia, Mali, Niger, Morrow, Mauritania). Did you forget arata civilization???!!! Yes .now arata is called the cradle of world. I don’t care which civilization was oldest as I believe in today but to find the truth is great. I am from Afghanistan and our Bamian buth (Idol) is approx 5000 years old. Important for me is how are we taking this world to our next generation who will be our grand grand children and how should we behave and help each others as humans. Pashtun are most likely the the lost tribes of Israel. When the Assyrian conquered the Norther Kingdom of Israel, they deported its inhabitant to Afghanistan. Let me know if you require further evidence of this claim. Which Pastun tribe are you from? Indus Valley civilisation is majority in Present day Pakistan (also in North Eastern Afghanistan, North west India, Eastern Iran). India was historically known as Bharat and was never unified, it was divided in 100s of kingdoms. why haven’t India excavated 1 ancient city yet? Pakistan is proven to have ancient history. Indus Valley Civilisation originated around river Indus in present day Pakistan. Proud moment for us Pakistanis. BTW, The subcontinent was first united under Mauryan Empire 2200 years back. Yrs (i am talking of the modern one, which you still see in India) we were protected from Invaders by our position, desert on one side, Himalayas on one side and Ocean on anothers, so we had time to settle down and think about science and since we never followed one book or one concept of a God, this was a society of seekers and not believers thats why we reached that height, oh but wait you never read this did you? May be you need to read the writings of Atheist historians of the west who were not weighed down by Bible. had life of the species ( For Ex : Human Species evolved naturally from mammals ). Western civilizations ( For Ex : Americas Civilization ) are the baby ( Just 300+ years ), civilizations of the newest ones which also evolved naturally from the mammals as well ( For Ex : Dinosaurs which roamed @ Americas of the lands millions & millions of years ago ). I don’t think all these civilizations & species will be history very similar like the human species predecessors ( For Ex : Dinosaurs ) with nuclear armageddon very similar like what happened to the Spatial Systems ( For Ex : Mars & Maritian civilizations : Wiped out by nuclear armageddon ). The Sphinx of Giza is older than 3000BC, the Olmecs the God Father of all ancient civilizations of the Americas were omitted, Greece and Rome were the least homogenous of all civilizations; they invented the word “cut, copy, & paste” , the contributions of the Moors to Europe is omitted. This article (as amateurish as it is) is about oldest Civilizations using our modern definition of such, not oldest settlement/village, oldest language, oldest clay tablets with things scratched on them etc.. If it was an article about “contributions to civilzation” you might have a point. Something is unclear. If anyone study geography than you all should know that we were the part of one land ” Godvana Land” and then due to the tectonic plates we weee differentiated and developed our different civilization. We are still moving and I m damn sure after 5000 thousand years if we will exist than no land gonna this present shape which we all see in maps. We can discuss only upto now but I am waiting for new discoveries which will be never gonna end. Something is unclear. If anyone study geography than you all should know that we were the part of one land ” Godvana Land” and then due to the tectonic plates we weee differentiated and developed our different civilization. We are still moving and I m damn sure after 5000 thousand years if we will exist than no land gonna this present shape which we all see in maps. We can discuss only upto now but I am waiting for new discoveries which will never come to halt. It all hinges on your definition of civilization. There may have been many cultures, but no civilization yet. I would define “civilization” as a city state or city states with permanent buildings where the people are ordered into a coherent social system led by political or religious officials, all of whom live by a specific social or moral code, whether written or unwritten. By this definition, probably the Sumerian or Akkadian civilizations were the first, coming into being around 8000 B.C.E. Jericho in modern Israel may be the world’s oldest city, which may date back to 12,000 years ago, or 10,000 B.C.E. Early pyramids called ziggurats were recently unearthed in Egypt. These date back to 7,500 B.C.E. A bone flute was recently found in China that dates to about the same time, 7,500 B.C.E. Its interesting. If possible come down to Sri Lanka. Its a country with large number of historical monuments that speaks of very advanced ancient civilization. I was in the process of writing a paper on ancient irrigation systems of Sri Lanka and accidentally came across your work. According to information gathered by me so far, the aborigines who lived here have moved onto agriculture as far back as 20000 years. The excavations done by the sri lankan archaeological department in the ancient city Anuradhapura has found ruins of a small city dating back to the period as far as 6000 to 8000 BC. It was opiniond that international trading had been taking place there. The man made water reservoirs net work that covered up the part of the island was a first in the world. Well please read the web site History of Sri Lanka and Significant world Events for 700,000 BC to 483 BC. It might definitly help you. yes what you said is true, even blue whales the only available ancient species come to the shore of the Sri Lanka to breed, long long back Sri Lanka might have been on the top of earth but it might have gradually come down. Even we Indians respect Ravana of Sri Lanka to be a great philosopher and consider him to be one of Brahma, creator. lol, all of you are really making people confused,. the world is so big, and I believe there are many ancient civilization out there that are yet to discover, Indians , American or even Australian all surely have their old legend or history back then,. lets be clear, without evidence its mean that civilization is just a myth legend – no offence on this- but if u believe there do exist just like I believe, we need to find a real evidence, not just by reading one article and u say its the olders,.im talking about firm evidence that those mention civilization do exist, for example: those of you indian believe that Dwaraka city do exist? where is the ruin located? who are they? there must be evidence to proof that they existed, as you guy said they build temple and stuff, there must be some ruin hidden somewhere to prove this is real, so find the evidence and everyone around the world believe u, not being jealous here but just a lover to all the history and wont entertained people who talks about one ancient civilization but without hard evidence, Dwaraka might just be myth legend to me and might be real. you should study more. alexander conquest of persia only disturbed the persian or ancient iran for only 2 century. persian civilization continued on under arsacid and sassanid dynasty. No use of fighting ourshelves on proving which and whoose civilization is oldest or true ir great whatever. But we all know fact can never be hide. it will find its way to appear oneday. know today about civilization is from scientific proof ,excavation , and scripture and fossils else. just i want to day that science of today is not so mature that can privide us fact information about what lies on or inside earth .we all know science theories are changables. science have rediscovered only a few% what is in earth. yet more to be discovered . yet more civilization may come who knows . only god knows. so keep faith on god and see what happens next. You are right to a fault. Yes, there is more than modern science and it has been proven by the translations of the Sumerian Clay Tablets, written in Cuneiform Language. A great man, Zecharia Sitchin (decesed), started publishing these translation in 1976 with very controversial claims. In 1982, through Voyager 2, these translations were proven perfectly correct by corroborating Sitchin’s claim that Neptune and Uranus are WATERY planets, blueish green in colour. Our Astrologer until than had claimed them to be rocky, or gaseous. How did Sitchin know this? Further, Sitchin’s claim of a 12th planet. Our Astrologers downgraded Pluto from its title as a planet recently! The Sumerians claim that there is a 12th planet called Nibiru, a Red Dwarf sun with its own planets, circling our Sun every 3600 years. Yesterday I heard the Canadian CBC News reporting that Astrologers had found that there must be another, they claim 9th planet out there, 10 times the size of Earth and circling our sun every 10 000 to 20 000 years. Well, they are half right again, aren’t they! The size might be right but the timespan is wrong. If you look throughout History, mankind has had immense technical advances every 3600 years. Odd, isn’t it? It correlates with the emergence of Nibiru, doesn’t it. Thus, what you call God is really gods from outer space. We always venerate beings who help us and dominate us, the gods from Outer Space. The real God who created all of us and our surroundings is within you only. The only evidence us humans have of him is ourselves and our surroundings. “He” or “It”, we don’t know does not watch, or guide us. It has been arranged so that we, everyone of us, is responsible for what happens and what we do. The so called God is not going to help us unless we help ourselves. Does that make sense to you? We have been mislead Millennia ago to believe that these creatures, called Anunnaki, are gods but they where our creators and deceived us into believing them. They gave us only 4% of their DNA in the process of creating us, making us impotent compared to them and deceiving us into being their slaves. Read the Books of Zecharia Sitchin and Michael Tellinger, they will open your eyes wider than you ever immagined. All that religious hocus pocus has been designed to suppress your mind and keep you being a slave! It is what makes up todays societies; and we call ourselves “developed”? Since god does not want you to, think out of the box and get a mind of your own. It just might surprise you! Everything else you say is merely speculative and sensational. Without man’s writing, there would be no religious scriptures because like the Bible everything stems from the Sumerian Cuneiform texts and probably first through the verbal transmission. Open your eyes and smell the Roses, your theories are as brainwashed as anyone else’s in this stupid world. Absolute lies!! Not that the things written in these books are false, they are only about 10% of what really happened. Before a list like this is published, they should note the criteria in which they are defining a Civilization. Trade, Diplomacy, government, currency, religion, arts, science/tech, laws, public works, schools, military, medicine, etc. They what they feel is the criteria for The Greatest Civilizations” Only after that, they can give their opinion on the matter. “They”, whoever they are can voice their opinion anytime “they” chose! This is a “free” society and people like you (Barzn) scare me. As you can say tahat”they” are wrong, they can do wrong, as “they please. like to know what or whom is the oldest civilization ever discovered. Through my research it seems to be Dwarka. Can someone give me information to the contrary? I know there have been possible farming communities that have dated some 60 to 70 thousand years. I would appreciate any help in this area. The results are in Mesopotamia in Iraq that is today part of the culture and civilization of my country. Who said the results in Mesopotamia to be part of Persian civilization, I doubt the opposite is true. I don’t care anyway however the facts still facts. Thanks to the honest researchers and historians as Iraq now is very weak and can speak and show their bright ancient picture. It is part of the culture of Iraq where Mesopotamia, and all the great architecture of the sumerians exist. I really worried that we all fighting with each others like who is superior among us. Whatever might be the arguments regarding oldest civilisations, race, religion or any sort of divisions that we have with in us. Throw out all these complexities and just think a while that we all are same (humans). We all are the sons and daughters of this mother Earth. Only we created borders and territories between nations and not God nor our mother Earth. Whether it is Africa or Europe or Asia or North America or South America or Australia, all these continents are been seen as diversity of land masses but in reality all comprises within this globe. If there is a quarrel between siblings in a home they will fight with each other, but assume if there is a quarrel between their neighbours do we think that these two will keep fighting each other? Absolutely no, they will become allies and now the fight will starts between their house and neighbouring house. The same concept will apply for street, area, province or state, then nation. Then????? Beyond to this point with whom do we fight yet? If we get a life threat from aliens, do we still continue to fight among each other or else will take a remedial action to save our entire man kind along with other living creatures? Life is very beautiful to love and live it but we all losing the same. I believe whatever might be the number of religions that exist but all the religions preach us to live a harmonious life and to keep peace within us. Last but not the least, just imagine what we all can able to do if a huge meteor strikes our mother Earth and costs all the lives. Who else will be left out to make quarrels? Only we humans can make this Earth either a Heaven or a Hell. I believe that I’ve not hurt anyone. If still there is a one or more been hurt, for them here is my sincere apologies. Tamil, I like and appreciate what you have to say. I carry the same ideals. If you truly speak from the heart, no one has any right to judge. This is all interesting; some of it funny, and some of it insulting. Anyway, here goes a curve ball to you all: The Mayan calendar (the long-count calendar – there are other shorter ones) covers a period of about 1,200 years of the modern, Gregorian calendar. In 2012 of these counts ended and a new one started. I have to check my records, but I believe this is the 3rd or 4th cycle that is being kept track of. So, if you do your math, you get a civilization of 3×1200 or 4×1200. How old is that??? Yet archeologists and historians only place the Mayan civilization about 1500BC; this has been changing over the years, one of the latest ones says about 3000BC. Anyway, how long does it take for an educated person to realize that the phases of the moon repeat monthly? Does it take one month? Of course not, it takes quite a few months. Now, how long does it take to figure out the phases of the moon and the sun? Does it take one year? Of course not! Now, how long does it take to be aware and figure out a period of 1,200 years??? Minoan Crete deserves more than a mere mention under the heading for ancient Greece. Wow! Great written shortened history thesis. Thank you for your trouble in doing so. I printed it out, so I can keep it in my bookshelf. This is a summary of very much studying and research. Well done. As for the fools (looking at the comments) who does not understand the word civilization in the context you try to depict it, I feel sorry. This article is ridiculous, the civilization has 6 cradles: Egypt, Mesopotamia, India, China, North Chico and Mesoamerica. All other civilizations have come from any of these, Greece is a copy of the Phoenician, which is Canaan successor, in a correct list without white chauvinism she was not even in the top 20. What about the Armenian Civilization? Pay attention that first leather shoes (7500 y.o.) and first winery (6100 y.o.) were discovered in the caves of Armenian highlands. Still claiming that Mesopotamia was the first? Let’s go about 7 or 8 thousand years earlier.. This is all purely speculation. We should, as a human race, at the very least acknowledge that we don’t KNOW hardly anything, and that a massive portion of taught history is pure speculation & educated guess-work. Shame shame shame.. it’s stuff like this that dumbstruck down, and slows down, the evolution & expansion of human knowledge and understanding of our reality. Come on, let’s get real. It’s better to call it a hypothesis than just guess work, for the simple fact that history has been put back together through heavy research….most civilizations that began to write recorded there history and when archaeologists go to these said places that’s been written about the things that they dig up lines up with the history that has been written most of the time….history has became more of a lie once the renaissance and the colonization periods came about….a lot of deceitful tactics for power came into during this time period….recorded history is accurate to the point that….during the dark ages Europe pretty much lost a lot of their culture and the land mass was recivilized when the Moors reached Europe…the Moors (most scholars believe Arabian origins because many were Mohammedans) were in fact the custodians of Greek culture and retaught Greece their history….look these things up! I don’t know who did the article and with what knowledge but Greece IS one of the oldest civilizations. They should not start the article saying that we are not. Its an insult. And the most important actually. If there were not Greeks and everything they accomplished people wouldnt be where they are now and we wouldn’t have this conversation here. Because even words all around the world vocabulary are based in greek. History(ιστορία-istoria) knows better. What about the kushite civilization in Africa, particularly Sudan? How come it isn’t mentioned here when it is one of the oldest civilizations and is even older than the Egyptian civilization. Try to find “CUCUTENI” or from where come simmerian civilisation . BTW: “culture”(living;art;construction;scients;education;ocupation;organization) means civilization today vs what you thinking was “culture” (agriculture;living;hunting;art;construction) in 7000BC ? First static place was a future”culture”, first hole builded/habitated on eart was a civilization for that time !!! The first and the mother of all is much more oldest then 5000BC! the most ancient civilization of all are the dwellers that dwells beneath and within each person. And you can feel it and that is el odio. el perra n la muerte. Did everyone knew that before Persia was civilized the firs person to colonize that area was Peni Kapua Gliber Don Haqer Mitch. The entire continent of Africa sits on the African plate and Arabia, sits on its own plate called the Arabian plate. Arabia is geographically Asia. What we call the Middle East today encompasses parts of Western Asian (Arabia, Israel, Syria, Lebanon, etc) and Northern Africa (Egypt, Tunisia, Libya, Algeria). Not only do you not understand how to spell “tectonic” you also don’t know the basic plate configuration which can easily be found with a Google search. Stop talking about things you don’t comprehend, yourself. Göbekli Tepe over 10000bc years old. how old is this site there is evidence of civilizations all over the world dating much older than all of this and they are lying to you about the pyramids the base they sit on was there well before them. this is mostly because of religious belief and the powers that be hiding the truth. the facts are now showing us that 12800bc is the main consensus of a global cataclysm via an asteroid wiping out most of us and causing a world wide flood buring most of our civilisation under the sea. the sphinx has water damage from rain fall over thousands of years so could be even older that 26000bc as it is in alignment with leo etc. there is so much we don’t know and we will just keep finding things that will change things constantly. I do not believe that the Turkish are older than the ancient Greeks, that is what i have been told. Thank you for giving me a lesson about the oldest civilizations ever existed. I don’t really know what the definition of civilization includes but is this not considered a finding of a civilized population? Now, looking at this burial apparently they had hierarchy, as this seems to be the grave of some ruler or a noble. Also ,considering that the gold was made around 6500 years ago, the city they populated and buried this person into is even older…It actually predates the Mesopotamian civilization with at least a thousand years. It could be, or at least tied to the oldest civilization, but that’s a relatively new find compared to other sites and needs far more objective study. The problem is that Gobelki Tepe wasn’t a city, and the purpose of building it then burying the entire thing, and even which civilization is responsible for building it are unknown or still being debated. More archaeologists from all over the world need to get that one solved..or at least get further along. The problem is that such things take lots of funding, and unless Turkey allows it to become a tourist attraction (the worst of bad ideas) the site itself only takes money without giving back, at least right away..a common problem in archaeology and anthropology. Sumer is a area of the Mesopotamia Region. Tamil civilization is most oldest civilization than others. I think he didn’t Read About Tamil Civilization. Human civilization should not be classified as we have done in our attempt to know different ancient tribes who lived in a compact area. We have mismanaged the ancient world in such a gigantic way that scholars not in a position to reshape their attitude. It is our ignorance only that shapes our ideas on ancient civilization, on origin of life and on alll aspects of human knowledge. My only suggestion is to refer to Ptolemy’s Map of the inhabited world known as Jambudvipa Map. That will give us some idea on our foolishness. There are 4 known Civilization of the world. 1st is Eyptian, 2nd Mesopotamia, 3rd is Indus valley and 4th is Chinese Civilization. This dates back to stone and bronze age. My passion to know from everything from the Day earth and sun rose up mountains got settle down, sea cover up the face of earth till Day of Judgement arrives. whenever people got lost time to time God sent down his Prophet to Guide them. Till now Billion of lives came and departed and more to come and depart. Take care You all wonderful people around. One of the major problems of defining our true origins is the separation we have thrust upon ourselves. Everybody’s religion, colour, culture, god is better than everybody else’s and everyone else is wrong. We have an abundance of creation stories from all corners of the earth. creation stories that share striking similarities to each other. however these stories have been twisted and moulded and embellished and presented as myth, as forklore. yet it is these myths and folklores have been passed down through oration or carved in stone by humans who had advanced knowledge. I personally feel that a creator exists but I do not adhere or following a religion as I feel that man has created that and not the creator. if we look back through ancient history we can find proof, physical proof of how we were created yet people struggle to find hard evidence to validate a religion. struggle, not impossible. So if we put our heads together by removing barriers and actually working as the one race that we are. imagine what we could discover. imagine the questions we could answer instead of letting our pride and indoctrinated ego do the talking. Enough of this Civilization war! Life,as we were taught in school, originated in oceans and other large water bodies and after several billions of years later the current species of humans (the Homo-erectus) evolved. Wouldn’t it be foolhardy to postulate that The first humans evolved in such and such a place? I’m no anthropologist or historian to invalidate such claims but it is reasonable to put forth the premise that human beings evolved in every habitable adaptations on the surface of earth. Being an Indian, I may take pride in claiming that ours is the oldest known civilization but alas that could be further away from the truth! I shall not make this foolish statement. There must be other civilizations unbeknownst to the historians of the yore which may have not been discovered hitherto. The civilizations listed by this author are the ones that have recorded evidences based on current day Carbon-14 dating technology. There may be many more civilizations that may be lying buried under several layers under the surface of the earth. What about the scarcely inhabitable places like the Urals, Mainland Australia etc? I can’t possible imagine what these places might have looked like before the plate tectonics split the land masses and drifted them apart. documented pre history dating well before the Civil arrived and Land Ethics became a religion. We are Humans Being and have for well over 100,000 cycles full story is was and always will BE if you choose to read. Wow, the article was interesting but the banter was more so. What came across was the strike-in-your-face jingoism about how my civilization is greater than yours. My language is the oldest and the greatest and so on. It is nice to know of history but in no way is the former glory going to rub off on its present crusaders. Let us learn and rejoice from what we learn about each civilization. And let us remember to cast away any emotion when it comes to language. Language, old or new is but a tool for communication. The oldest surviving language is not the oldest language. Many have perished because of lack of speakers. On an idealistic note, I hope the present world can become as border-less as it was during the ancient civilizations. Nice article. Why do we need to know that? Somewhere the civilization started in this part of world and spread across and came to this day. Let’s live what we got and die.. It can’t be changed.. We all die.. The rulers, kings and legends were dead as so as we… Actual truth is no one knows.. so stop questioning and quarreling. And one more actual truth is i wasted time to reply this, so as to teach some sense..
Good effort. Still I think u have missed to mention Mehrgarh Civilization , was about 7000 BC. For instance, Chinese Civilization of the Yellow river came before the Mayans. Chico Norte (or North Chico, whichever you prefer) of the Fortaleza, Pativilca, and Supe rivers came before the Mayans as well. As you can see, earliest civilization started on rivers. The Great Flood or Deluge was not only in Sumer writing and Bible, Lord Vishu in Vedic scriptures reincarnated into Matsya, The Fish reincarnation to drive the Great Ark of the current survivors of that civilisation. Many Vedic Knowledge coinsides with the natural scientific discoveries or redivories of modern time. PS: Im not an Indian nationality, Im south east asian. As i learned some languages, i now understand more about where we came from and some other interesting things. There is one very old book which American and English people try to “DECODE”, but what i found that the language is not dead yet, it jus t evolved a lit, and i can reed that book easy. So its anciant book which some people stil can read in nowday language. I came from country, where we speak what you call SANSKRIT, but Sanskrit is our old alfabet only, and not a language. We speek advansed sanskrit as we changed alfabet around 4000 years a go, we evolved. We can understand easy old sanskrit, its like removing some nowday gramer from my mother language. But who speek sanskrit- cant understand much from our nowday language, as we set up much rools for corecting gramer. Ever interesting, You have tried to covered number of arrears But how can we believe this some are very complicated and different from the others which I have red and heard. wow the fact that so many ppl are here giving opinions made my day I’m happy that I’m not the only one that is dying to explore the unknown of the past, hope I understand the truth before my journey is over. The real Egypt as well as Sudan ancient are black Nubian ,they’re still found along the northern Egyptian nile valley and Northern Sudanese nile valley. Egypt was under the rule Kingdom of kush for over a 100 years. The ancient Egypt (Nubian being 20%) the 80% of modern Egyptian are d the escendant of roman and Arabs invaders they’ve nothing to do with Egyptian history. All evidences proofed that pharaohs are black Nubian including the dna which means the giant pyramids of Egypt you can see today were built by Nubian. There are other old civilizations not listed here. emerged in 2500 BCE and lasted until 612 BCE. The Minoans (2000 BCE to 1450 BCE), the Amorites (2000 BCE to 1600 BCE), and the Mycenaean (1900 BCE to 1100 BCE) all existed before the emergence of the Mayans (Accepted by most historians to have existed from around 1800 BCE to 900 CE). The Gandhara Civilization (1500 BCE to 500 CE), The Phoenicians (1500 BCE to 300 BCE), the Celts (1400 BCE to 4 CE), The Olmec (1200 BCE to 400 BCE), The Vikings (1,100 BCE to 1066 CE), The Kushnite (1069 BCE to 350 CE), The Kingdom of Judah (934 BCE to 586 BCE), and Carthage (800 BCE to 146 BCE) all existed before the founding of the CITY of Rome in 753 BCE. In addition, Mesopotamia is not considered a single civilization. It refers to the area where some of the first civilizations arose, and is usually associated with the Sumer, Assyrians, and Babylonians. Ok… So what about the Cucuteni-Tripolie Culture that dates 5200-3500 BC. ??? I think I have some information that all posters will agree on. The Shulaveri-Shomu culture is the first civilization of importance. Because – The earliest evidence of domesticated grapes in the world has been found in the general “Shulaveri area”, near the site of Shulaveri gora, in Marneuli Municipality, in southeastern Republic of Georgia. Specifically, the most recent evidence comes from Gadachrili gora, near the village of Imiri in the same region; carbon-dating points to the date of about 6000 BC.